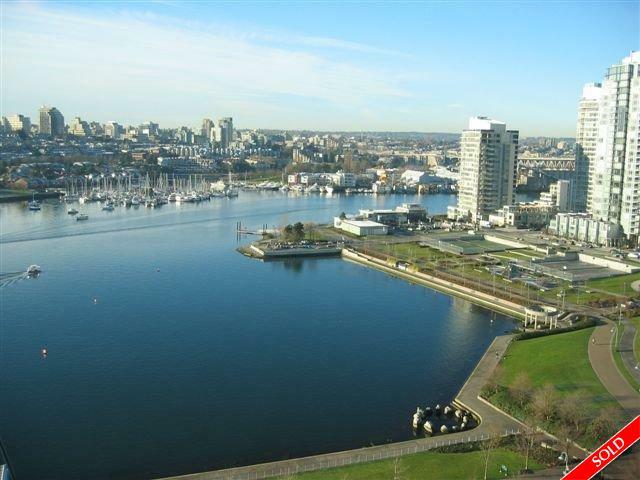 Description: Stunning water & city views from this gorgeous 2 bedroom & den in the classy Columbus building situated right on Yaletown's Waterfront. Over 1200 sq. ft. of luxury with limestine gas fireplace, granite counters & cherry oak cabinets in the kitchen, marble & limestone bathroom counters. Great layout with balcony off kitchen & dining rooms with fabulous views, new designer colour paint throughout, building has 24 hr concierge & outstanding facilities!! !